The following is taken from an Article by Earl Nightengale. Please take a minute to read it and if you like, you can view it, in its entirety by clicking here. The Acres of Diamonds story “a true one” is told of an African farmer who heard tales about other farmers who had made millions by discovering diamond mines. These tales so excited the farmer that he could hardly wait to sell his farm and go prospecting for diamonds himself. He sold the farm and spent the rest of his life wandering the African continent searching unsuccessfully for the gleaming gems that brought such high prices on the markets of the world. Finally, worn out and in a fit of despondency, he threw himself into a river and drowned. The farm the first farmer had sold, so that he might find a diamond mine, turned out to be one of the most productive diamond mines on the entire African continent. The first farmer had owned, free and clear … acres of diamonds. But he had sold them for practically nothing, in order to look for them elsewhere. The moral is clear: If the first farmer had only taken the time to study and prepare himself to learn what diamonds looked like in their rough state, and to thoroughly explore the property he had before looking elsewhere, all his wildest dreams would have come true. SO WHAT? 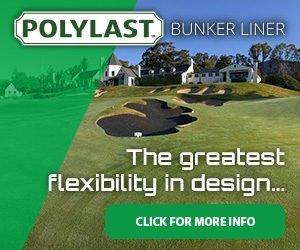 Become a Polylast Dealer! Polylast dealers who recognize the potential value and benefits that can be enjoyed building a Polylast business are working to learn how to do it better and better… In fact, taking advantage of the “farm” (business) that they already own. 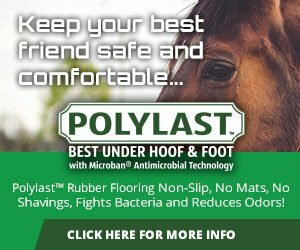 Polylast’s commitment is to help you learn HOW to be as profitable as you choose to be and we will be working harder than ever to bring you new and better training, support and superior flooring products that you can share with your customers. Watch for future newsletters for the proof! Thanks for your attention and your continued efforts and involvement!